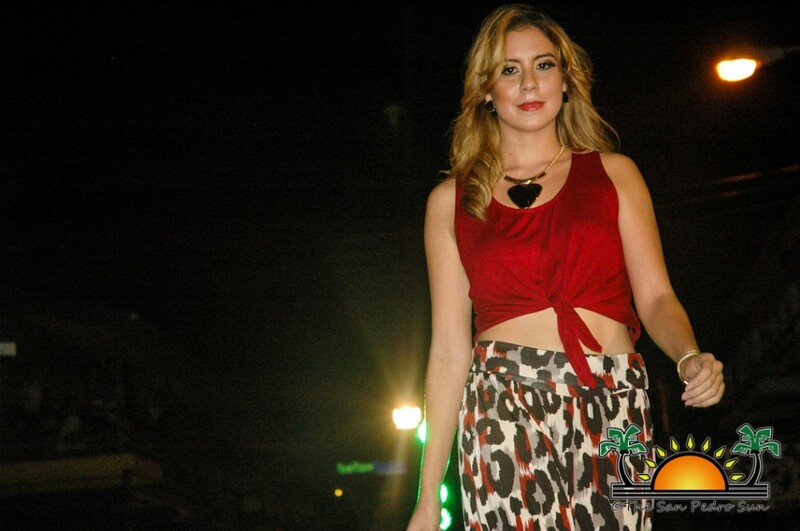 Top Notch Boutique along with Traveller’s Liquors, Sailaway Café, Premium Wines and Spirits and Fido’s Restaurant and Bar, collaborated in creating a “Night of Fashion under the Stars” on Saturday, November 16th. The show was held on Barrier Reef Dive, in front of Top Notch Boutique, and thankfully the weather was just perfect for an outdoor event. 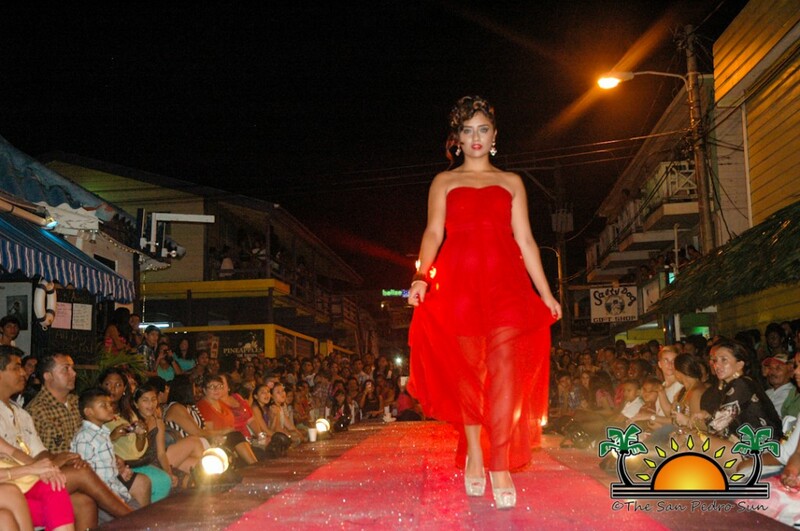 The fashion show, which was free of charge, attracted a large crowd that came out to enjoy the event. 12 lovely young ladies sashayed down the runway, showcasing the latest in women’s fashion,including plus size apparel. The show was divided into four segments: Leopard Print, Club Wear, Formal Wear and Holiday wear. 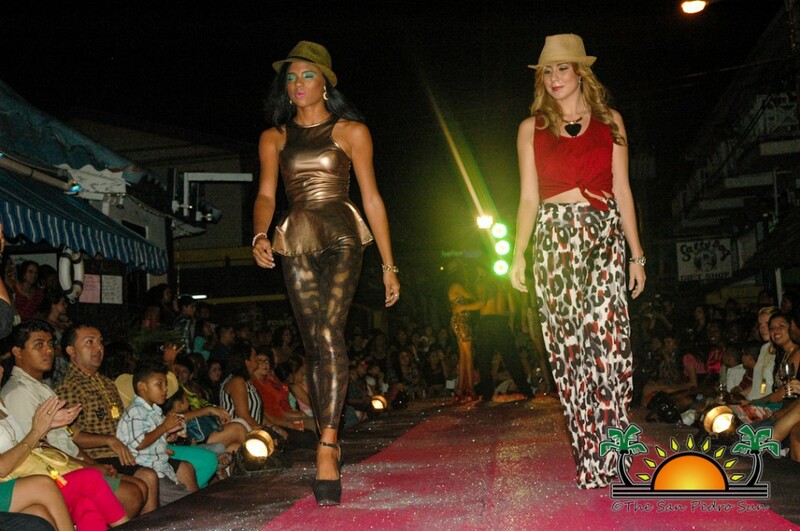 The fashion show illustrated several trends and full looks that will make any individual stand at any occasion on the island. Throughout the show,DJ Dzl kept the crowd energized with the latest in music, which set the fun vibe for the evening. But the night was not only about fashion!Those in attendance were also treated toa great selection of wine from Premium Wines and local rum drinks from Traveler’s, all Liquor at special prizes; while Sailaway Café provided specials and snacks. Following the show, it was time to dance the night away to the sounds of DJ Dzl at the after party hosted at Fido’s Restaurant and Bar. Event organizers take the opportunity to thank all those who made the event a success, including everyone who came out to enjoy the event.